Credit scores are not an end in themselves. To be sure, they can be an important factor in being allowed to buy things on credit. But constantly taking on debt is hardly a viable lifestyle for most people. That's why, as New Jersey bankruptcy lawyers, we know that for many people, filing for bankruptcy makes good sense. This is true even if, in the short term, your credit score takes a hit. 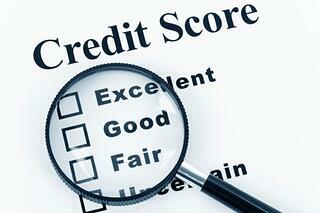 We are also aware that there are many potential misuses of credit scores. In particular, Fair Isaac Co. and the country's major credit bureaus are now attempting to use credit score data to predict other human behaviors, such as dependability in taking prescribed medication. Fair Isaac Co. is of course the company that originally established the scoring system that is still widely used to evaluate credit. It is still known as the FICO score. But now Fair Isaac and the big credit bureaus are using their data to dig ever deeper into consumer behavior. They are working on using financial history data to develop tailored scores that purport to gauge such things as the likelihood that someone will file for bankruptcy. Experian PLC, one of the credit-report behemoths, has already developed a tailored score of this type on bankruptcy odds. It also has created a tool called "Insight" that claims to be able to estimate a credit applicant's income at a cost of less than $1 per transaction. There are many issues raised by these data-driven endeavors. For one thing, the proliferating use of personal information for all sorts of purposes raises serious privacy concerns. Plus, the so-called tailored scores may not necessarily be accurate at predicting what they claim to be able to predict. If you need help from a personal bankruptcy attorney in New Jersey, contact us for a free bankruptcy consultation today.